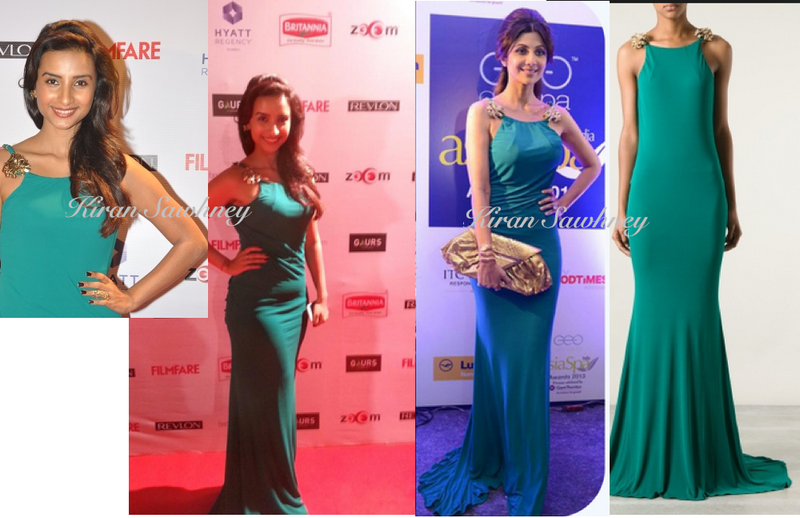 Patralekha wore a green Roberto Cavalli gown last evening. We have seen the same gown on Shipa Shetty last year at Asian Spa awards. Whose styling do you prefer more? We think Shipa did better. Her hairdo showed the detailing of the gown. Patralekha's makeup and hair were a downer.